Until recently conferences on interfaith cooperation in the U.S. have almost always centered on the Abrahamic religions of Judaism, Christianity, and Islam. Yet over the past forty years America has become a much more diversified and pluralistic society. The relaxing of restrictions on immigration, followed by the post-war upheavals in Southeast Asia in the 1970s, has dramatically transformed our population. Large numbers of Americans now have religious roots that go back, not to the deserts of Judea and Arabia, but to the plains, mountains, and villages of ancient India. For convenience, these are grouped together under the designation “the Dharmic faiths.” They include Buddhists, Hindus, Jains, and Sikhs, and their national origins range from Pakistan to Japan, from Burma to Vietnam, and from Mongolia to Sri Lanka. Not all are immigrants. At least one whole generation of people of Asian descent has been born and raised in America, and think of themselves principally as Americans following a Dharmic religion. 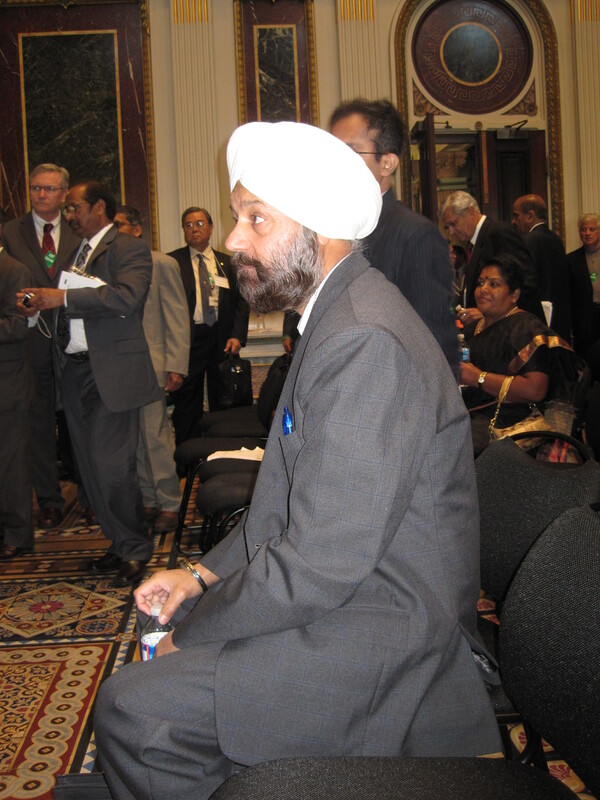 Eager to translate their faith into programs of social justice and humanitarian service, followers of these Dharmic religions have sought dialogue with the U.S. government in order to find pathways along which they can contribute more effectively to their communities, their nation, and the world. 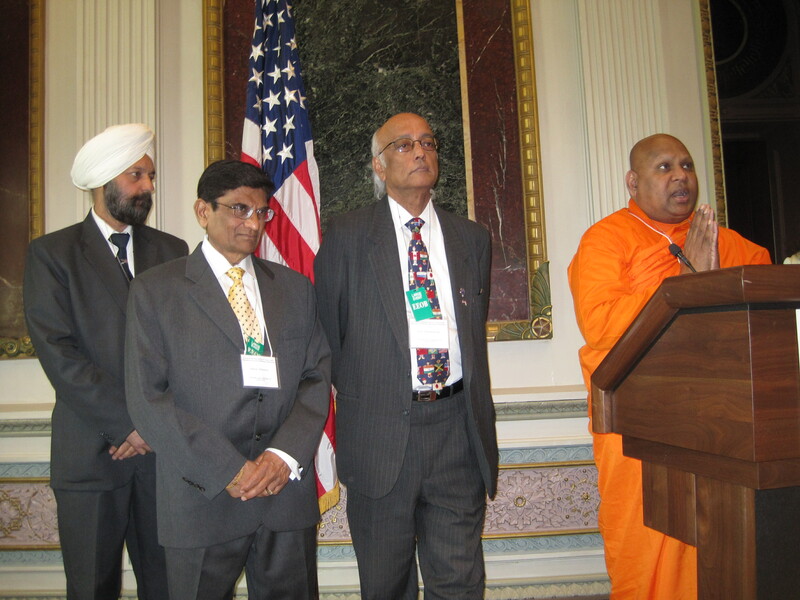 On April 20, 2012, these efforts were rewarded by a historic conference convened at the White House, Community Building in the 21st Century with Strengthened Dharmic Faith-Based Institutions. 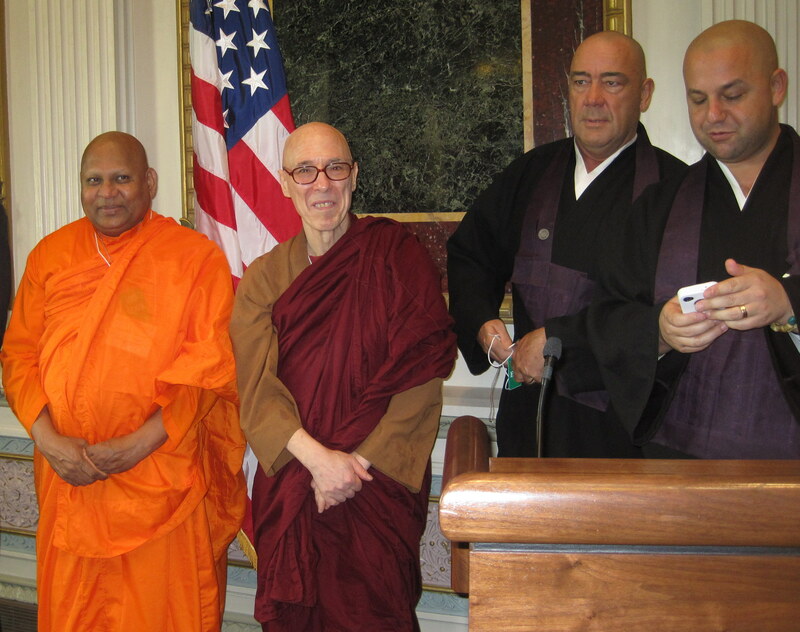 Buddhist Global Relief was honored to be one of the Dharmic faith organizations invited to attend. Many Hindu, Jain, and Sikh organizations, as well as other Buddhist organizations, also participated. I went as the representative of Buddhist Global Relief. I was delighted to meet a number of old Buddhist friends and to make a few new ones. Among these was the popular Buddhist blogger Danny Fisher, who had interviewed me a few times by email over the years but whom I had never met in person. The conference was co-hosted by the White House Office of Faith Based and Neighborhood Partnerships, the White House Office of Public Engagement and Intergovernmental Agencies, and Hindu American Seva Charities (HASC). Also present from the Buddhist community were Bill Aiken, Director of Public Affairs for Soka Gakkai International, one of the co-organizers; Ven. Katugastota Uparatana of the Maryland Buddhist Vihara; Koshin Paley Ellison and Robert Chodo Campbell of the New York Zen Center for Contemplative Care; and Tricycle journalist Clark Strand. Former U.S. Senator, civil rights champion and presidential adviser Harris Wofford spoke of the profound contribution that Asian spirituality made to the Civil Rights movement, recounting that it was a workshop on Gandhi that had deeply inspired the actions of civil rights pioneer Rosa Parks on the day she refused to move to the back of the bus. On a personal level, he said, it was his encounters with Gandhians in the late 1940’s that inspired his dedication to the Civil Rights movement. During a session with Rev. Suzan Johnson Cook, United States Ambassador-at-Large for International Religious Freedom, concerns were raised about the condition of religious minorities (Hindu, Sikh, Buddhist, and others) in Pakistan and Bangladesh, as well as the plight of Buddhists in Southeast Asia and Tibet. Dr. Siva Subramanian, HASC Board Member, called on the ambassador to bring the American Dharmic community to the table so they can work more closely with her in addressing their concerns. Other topics discussed were the high suicide rates among Asian immigrants, the problems being faced by Burmese and Bhutanese refugees in America, the networking of Dharmic community resources for disaster response, the support of religious literacy programs in public schools, and providing support for Dharma-based members of the U.S. Armed Forces. Parts of this blogpost were drawn from the press release on the conference issued by Hindu American Seva Charities. For the full press release, see here. 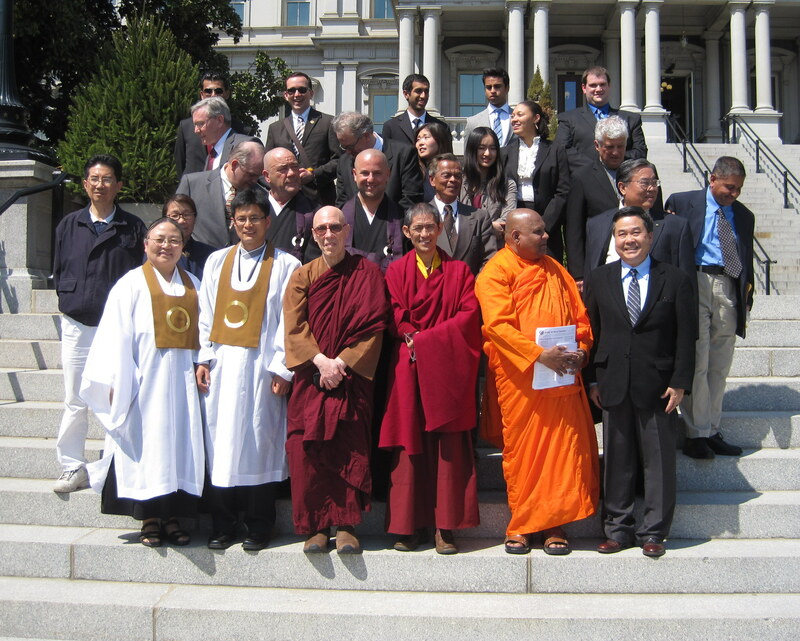 This entry was posted in Interfaith action, News item and tagged Bhikkhu Bodhi, Dharmic Faiths, Engaged Buddhism, Interfaith action, White House. Bookmark the permalink.